Pemberley Natural History Books was established by Ian Johnson in 1989, and is now one of the leading suppliers of new, used and antiquarian books on entomology and related subjects. Our customers include individuals, libraries, museums and research institutes worldwide. While specialising in entomology, we also stock books across the whole range of natural history subjects, including zoology (birds, mammals, reptiles, amphibians, fish, and invertebrates), botany, geology, palaeontology, etc. As well as new books from major publishers, we can also supply titles from our extensive network of independent and specialist publishers and suppliers, both in the UK and around the world. Many titles are held in stock. We are also able to source books not found on our website, so if you do not find what you are looking for, please contact us and we will be pleased to help. We also maintain a large stock of used and antiquarian books, reprints and periodical runs in our specialist subject areas. Many scarce books are sold before being listed on the website to customers who have recorded their interest with us. If you do not find the out-of-print book you are looking for, please let us know and we will be pleased to record your interest, and inform you, without obligation on your part, when the book is next available. We pride ourselves on our professional service and the quality of our packing; as book lovers we know how important it is for you to receive books in excellent condition. We hope you enjoy using our new website which includes many new features. Please let us know what you think of the site. We hope that no matter where in the world you are, you will enjoy checking our new titles, special offers and thousands of good quality used books. Please do contact us if you have any questions or need any assistance while you are online. Our stock is always changing, so a good way of being alerted to new titles, special offers and recently acquired used and antiquarian books is to join our mailing list. You can join our mailing list here. Many customers still like to receive a printed catalogue and we will continue to mail out at least one printed catalogue a year to customers who have ordered from us in the last two years. Our catalogues highlight new publications and a feature recently acquired rare and used items. If you would like to receive printed catalogue please click here. If you no longer wish to receive printed catalogues, please let us know so that we may remove your name from the catalogue mailing list. The catalogue is also made available as a pdf file on the website – you may find our latest catalogue here. You may also opt to receive our e-mail newsletters. In 2000 we opened a specialist bookshop in Iver, west of London, and in addition to our established website and mail-order service, our customers are welcome to visit and browse our stock. Our knowledgeable staff are available to assist you by e-mail, telephone or in person at the shop. 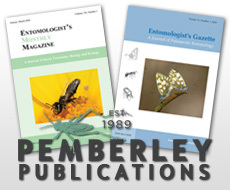 Pemberley Books now publishes the two journals, Entomologist’s Gazette and Entomologist’s Monthly Magazine. We have recently also published our first book, Andrew Duff’s Checklist of Beetles of the British Isles. We are always interested to hear from prospective authors of books on entomology and related subjects who are looking for a publisher. Ian has always been interested in entomology and studied Zoology at Imperial College (University of London), specialising in entomology. Before establishing Pemberley Natural History Books in 1989, he worked as a natural history curator at a number of museums in the UK, including, the Museums Service, London Borough of Enfield, the Warwick County Museum, and the National Museums of Merseyside. Ian is a Fellow of the Royal Entomological Society, and a member of the British Entomological and Natural History Society. 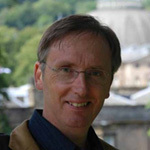 Ian is head of publishing and leads on the acquisition of antiquarian books and new book titles. Julie trained as a librarian while working at the Natural History Museum, London. During this time she developed an interest in the history of entomology and historical bibliography, and published a number of works. Latterly she headed an interdisciplinary research centre at the NHM, the Centre for Arts and Humanities Research. Julie is fascinated by the provenance of antiquarian books and the use of technology to introduce new audiences to the world of book collecting. She leads on marketing, planning, collection processing and network development. Fiona has worked at Pemberley Natural History Books since 2005. As many of our regular customers will know, Fiona is the first point of contact for customer enquiries, and manages all aspects of the processing and efficient dispatch of customer orders. This post is responsible for the type setting of articles submitted for publication in our two journals, and generally organising the publishing process, liaising with the journal editors, authors and printers. Florina began her career in the book trade at Bernard Quaritch, London; she also trained at the London Rare Book School, Institute of English Studies, University of London. Florina joined Pemberley Books in 2015. She catalogues our collections of modern and antiquarian books. Wendy works 1 day a week, and makes sure the financial side of the business is kept well organised.